Science fiction movies are not exactly known for being the most accurate depictions of actual scientific laws. In other words, they’re usually more fiction than science. 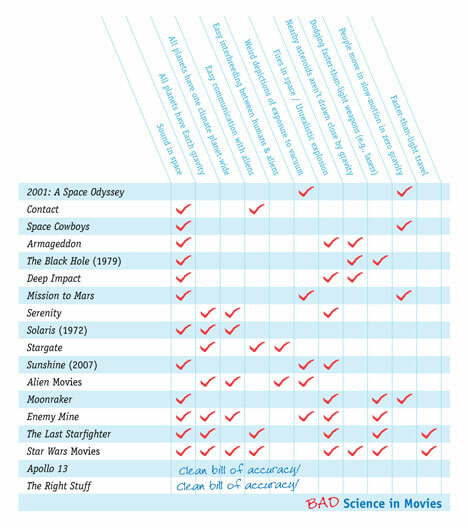 The smarty-pants team at io9 put together this handy graphic to help explain which movies adhere to the laws of physics and which adhere to a looser definition of reality. 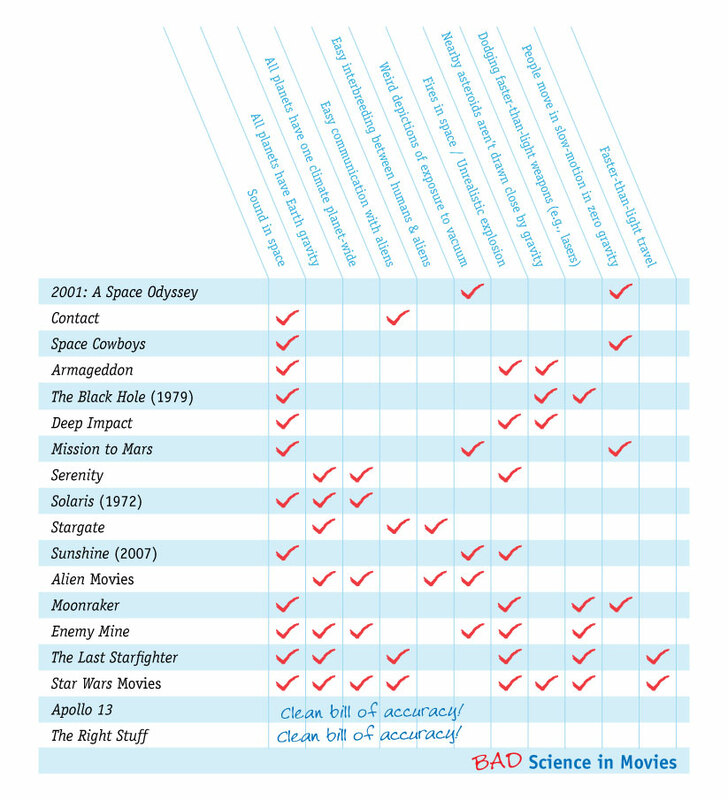 Using criteria like “All Planets Have Earth Gravity” (they don’t) and “Dodging Faster-Than-Light Weapons” (you can’t), the chart shows the worst of bad science in popular movies. Not that movie science should always be good science, of course – that would be no fun. Perhaps unsurprisingly, the only two movies given a “clean bill of accuracy” are Apollo 13 and The Right Stuff: two space movies based on real events. See more in Science Fiction or under Science. January, 2011.